These are SO CUTE! 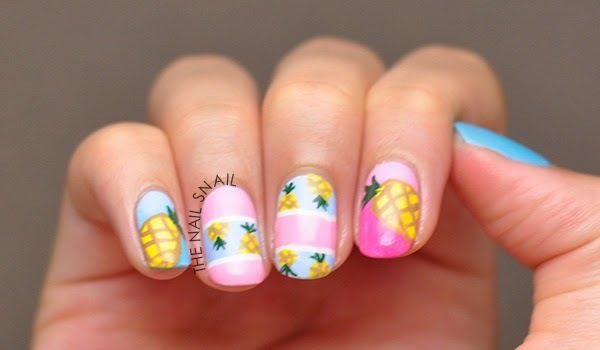 I love the colours and the designs on your middle and ring finger are awesome! This is so cute! I absolutely love the design and the colors you used look great together. 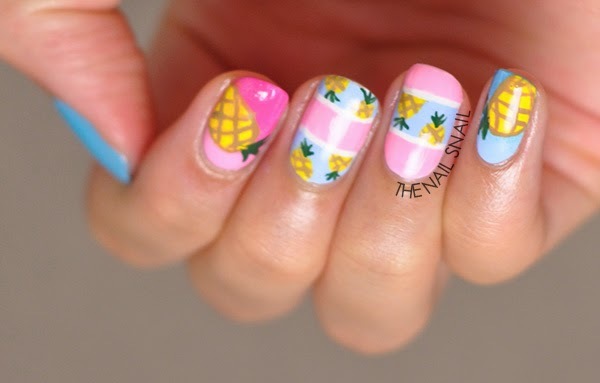 Those pineapples are sooooo cuuuuuute! I can't wait to see your next designs. 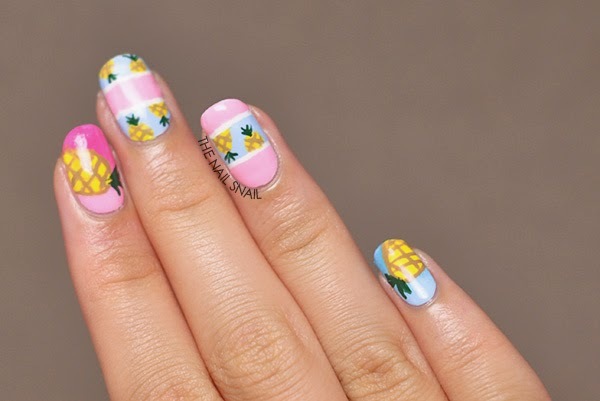 AWW such a lovely manicure! I've just returned from my roadtrip to berlin yesterday and I hope you had the most wonderful vacation as well! I'm looking forward to read all your upcoming articles! This is so cute! Love the colors you used as well! Your manicure is gorgeous as always. You have a talent in choosing colors & patterns and of course great painting skills!